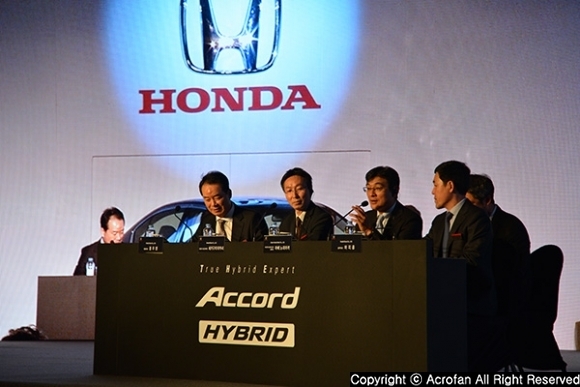 Honda Korea (CEO Jung Woo-yeong) announced a new car presentation at Grand Hyatt Hotel in Seoul on January 18 and declared its full-scale sales of ‘Accord Hybrid,’ which has overwhelming fuel economy and driving ability. Accord Hybrid is the most complete and advanced hybrid sedan available today that satisfies best-in-class fuel economy, power and the lowest carbon footprint in its class. 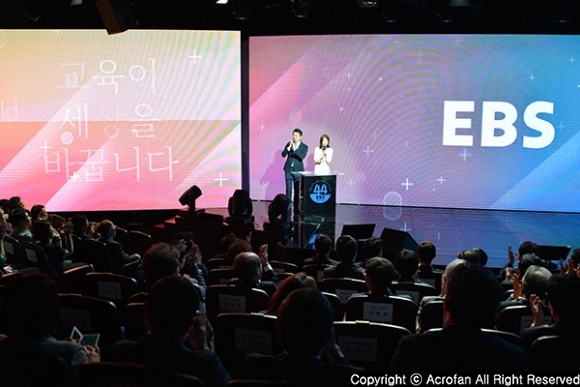 It is featured by outstanding marketability and economic benefits; it will be able to receive KRW 1 million in support for the government's hybrid vehicle purchasing subsidy, various tax benefits of up to KRW 2.7 million, and hybrid battery warranty period of '10 years / unlimited km'. 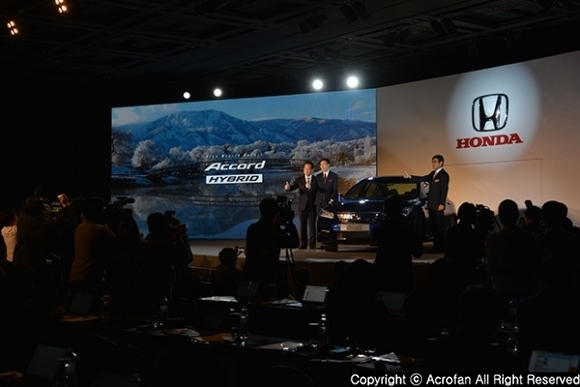 ▲ Honda headquarters and major branches in Korea declared formal sale of Accord Hybrid. ▲ Representative of COO of Sekiguchi Takashi 4-wheeled automobile division, Noriaki Abe from Asian Honda Motor Company visited to shine the place. 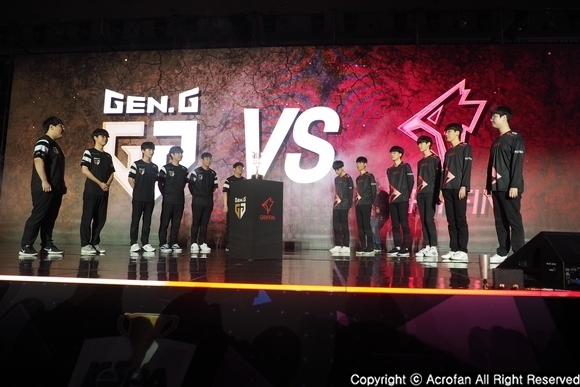 ▲ Photo-time with the models was followed by the commemorative photograph of the key people. 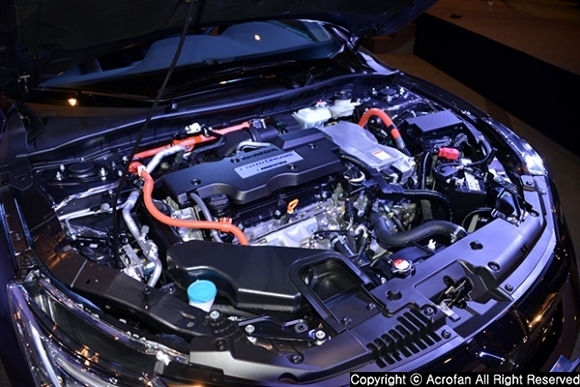 Based on the concept of 'True Hybrid Expert', Accord Hybrid applied i-MMD (intelligent multi-mode drive) hybrid powertrain, composed of a lithium-ion battery and e-CVT, which is equipped with a 2.0 liter hybrid exclusive engine shining in the US automobile magazine WARDS AUTO's '2017 Best 10 Engine' and two electric motors. It achieved 19.5km/ℓ (combined 19.3km/ℓ, high speed 18.9km/ℓ), the best urban fuel consumption in the class. It is equipped with a 'sports drive mode' for 215 horsepower (ps), which is the best system output in its class, so dynamic driving is possible. Including 'sports drive mode,' it provides three modes of operation: 'EV drive mode' and 'hybrid drive mode' depending on the driving environment. By applying an amplitude-sensitive damper and enhancing the NVH performance, the running texture and safety are greatly improved. 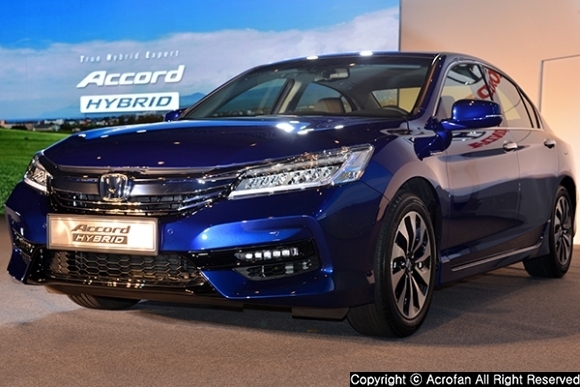 Accord Hybrid achieved eco-friendly performance of 83g/km and realized the lowest carbon dioxide emission in its class. 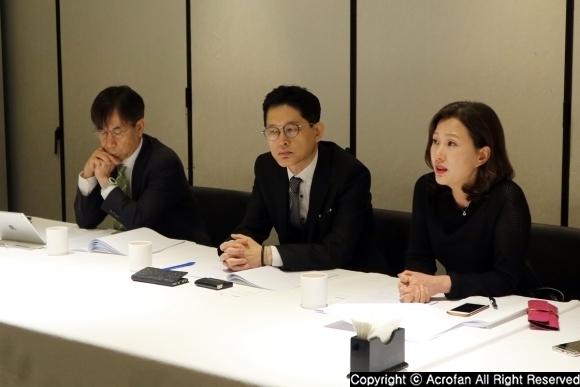 It is possible to receive subsidies of 1 million won from the government by meeting the subsidy standard for purchasing hybrid cars, and also enjoy tax benefits of up to 2.7 million won including individual consumption tax, education tax and acquisition tax. In addition, with acquisition of class 2 low-emission vehicle certification, it is possible to receive various benefits such as a 50% discount on public parking lot in Seoul metropolitan area and a congestion fee exemtion for Seoul Namsan Tunnel (limited to vehicles registered Seoul electronic tag). 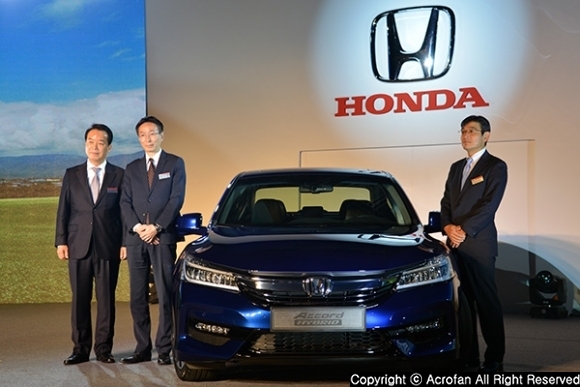 ▲ Park Gang-soo, General Manager of Product Planning Team of Honda Korea, introduced the vehicle. 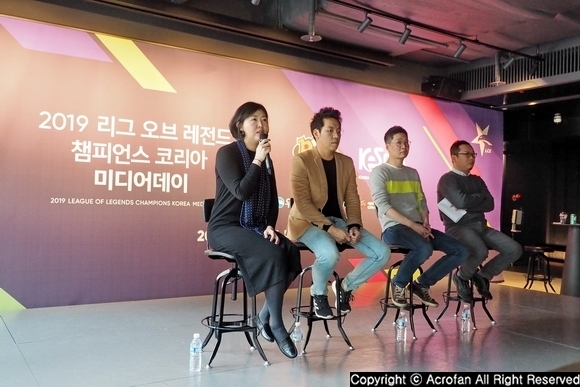 ▲ After the presentation, a Q & A session was held with the key people. 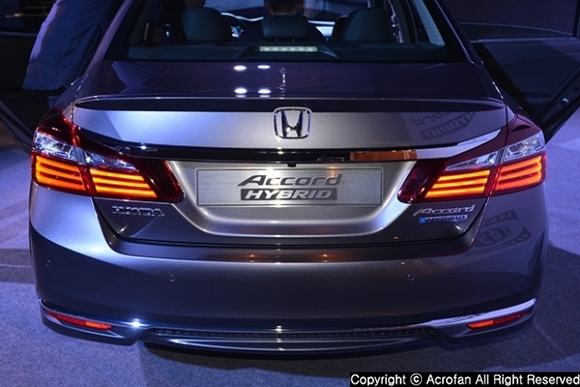 Accord Hybrid has completed a more luxurious and sporty design by applying the Hybrid exclusive styling package inside and outside to the future-oriented and sporty design of the existing Accord. 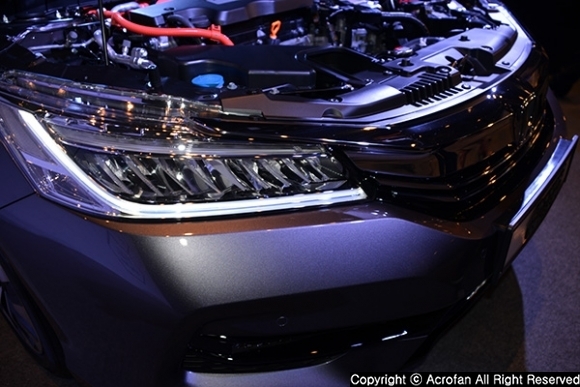 The LED headlamps and rear combination lamps feature a blue extension lens. 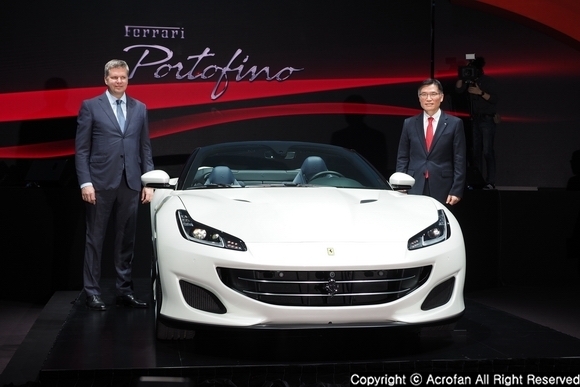 Also, a piano black and chrome combination front grille, a refined aluminum bonnet line, a 17-inch alloy wheel, a side seal garnish and a trunk spoiler are added. 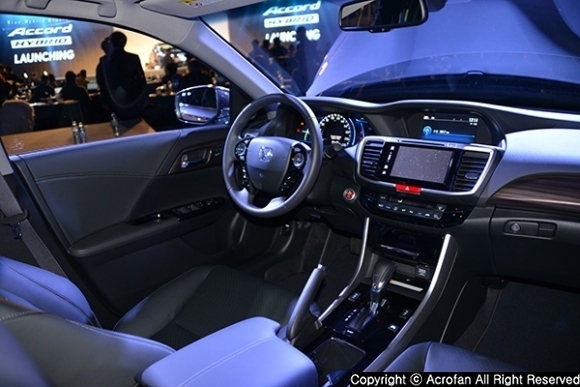 Many of the safety and convenience features that have been applied to the existing Accord 3.5 V6 models have also been applied. Driver's memory seat, 4-way power front passenger seat, and ECM room mirror are basically applied. 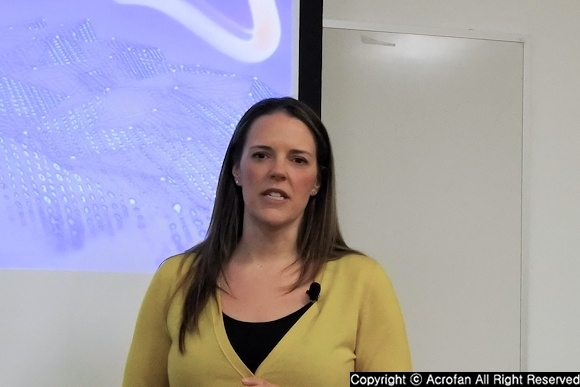 Safety features such as 'LaneWatch' function to support safe lane change through confirmation of blind spot when the right turn signal is engaged, and front and rear parking sensors have been added. Based on Android OS-based display audio (DA), Apple CarPlay and ATLAN 3D navigation were applied, and various convenience specifications such as smart phone wireless charging device and remote starter are maintained. On top of that, the company offers substantial hybrid battery warranty of '10 years/unlimited km' based on its overwhelming technology and durability, thus enhancing customer satisfaction. 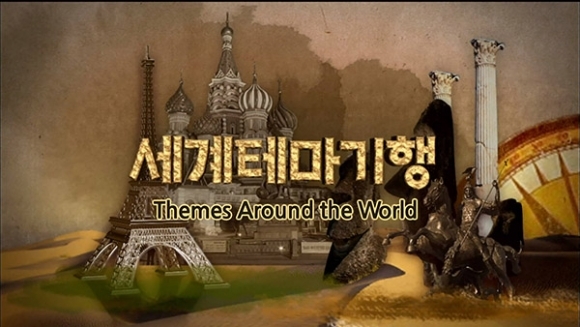 There are five colors, including silver, white, metal, black as well as cobalt blue only for hybrid. 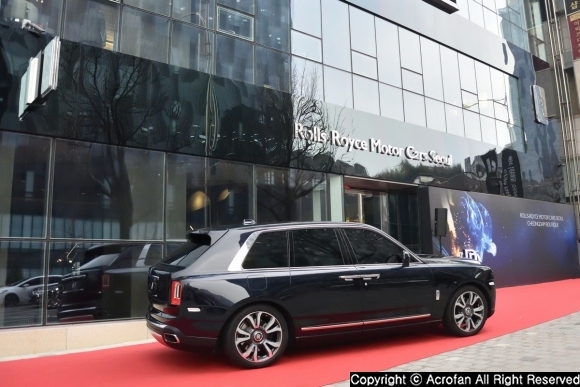 The price was set at 43.2 million won (including VAT). For more information on Accord Hybrids, please contact your nearest Honda dealer. ▲ At the event, cobalt blue color was the mainstay, with white and silver models for photography. 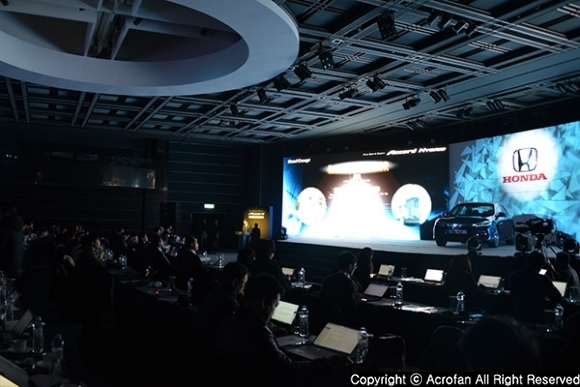 ▲ 17-inch wheels optimized for hybrid capabilities were selected. 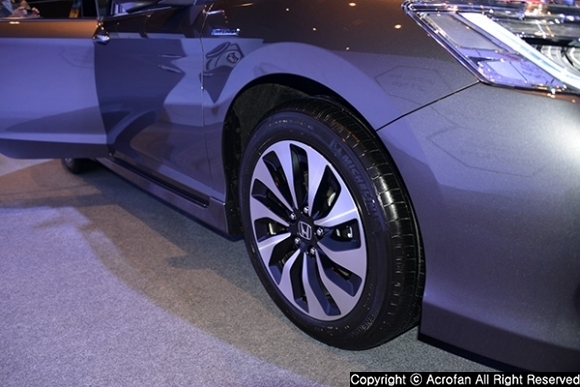 ▲ With the advent of the Honda Accord Hybrid, a new wind in domestic hybrid market is emerging.